We all know that steam has some great benefits to our health, from helping us breathe (and feel) better when we have a cold to cleansing the toxins from our bodies and purifying our skin. But aside from these benefits, steam (especially in the form of a steam shower) helps us feel less stressed and more relaxed, enabling us to rejuvenate ourselves and energise our minds and bodies in more ways than one. If you are under stress, there’s nothing like taking a steam shower to free your mind from worry and release your anxiety. And there is no better way to enhance your steam shower experience than to make use of aromatherapy. Most steam shower units and cabins nowadays, particularly those that come from www.jtspas.co.uk, are built with a plethora of great features, such as touch-screen controls, a number of adjustable body jets, ambient lighting, built-in radio and Bluetooth capabilities, and so much more. But there is one outstanding feature of steam showers today that seals the deal for most of us: the aromatherapy feature. 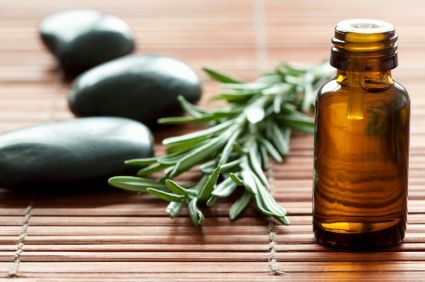 Aromatherapy has been known to relieve stress and anxiety and contribute to our well-being with the use of particular scents and essential oils that each has its own unique property and characteristic. These essential oils are distilled from the extract of different plant stems, leaves, roots, or barks, and have been proven to have wonderful benefits for one’s mind and body. So whether you already have a steam shower or are just planning on having one, you should know how to make full use of the steam shower’s aromatherapy capability so that you can maximise your time in it. Aside from having a wonderful, clean scent, eucalyptus oil offers relief from colds, coughs, and even other respiratory conditions such as asthma. Lavender oil is another popular essential oil used in aromatherapy, and for good reason. It has been shown that lavender provides relief from various burns and cuts, and is also a good relaxant. Place a few drops of lavender oil on your steam shower’s aromatherapy feature and take a shower before bedtime and you will sleep like a baby. Peppermint oil, apart from having a very fresh, unique, and easily distinguishable scent, has the benefit of being great for digestion as well. If you would like to improve your digestion, make a peppermint oil aromatherapy shower part of your weekly routine. This flower is not just known for its beauty – it has a wonderful fragrance as well. Just a few drops of Ylang ylang oil on your steam shower’s aromatherapy feature will make a difference, relieving you of stress, worry, and anxiety. Rosemary oil is fast becoming a favourite when it comes to aromatherapy for the simple reason that it improves your blood circulation as well as revitalises dull, lackluster skin. The experts at steam shower suppliers like www.jtspas.co.uk know that if you want to make the most of your steam shower experience, it pays to know which essential oils to use for your shower’s aromatherapy feature. With the right essential oils, you can pamper your mind and body and emerge from your steam shower feeling renewed, refreshed, and better than ever. Previous Own Acres Of Land? Here’s How To Live Off It!